Heavy weather has pounded the South American country of Chile this week, leaving millions without water. Heavy rains during the normally dry summer months has damaged the water supply to the capital city of Santiago, and officials are struggling to make the necessary repairs on time. Three people were killed, 19 are missing, and over 350 people have been isolated in the areas most affected by the heavy rains, as flooding and mudslides cause damage and dangerous conditions. 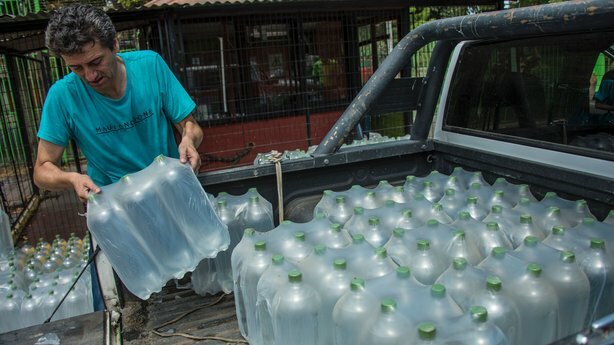 The mudslides are what contaminated the Maipo River, which provides the main source of drinking water for the people of Santiago and the surrounding areas. Water provider Aguas Andianas suspended service on Sunday for their 1.5 million customers, consequently affecting nearly 5 million people. Emergency crews are trying to provide enough drinking water to those cut off from a potable water supply, as local residents compete for bottled water at the stores and have been seen collecting rain and creek water. 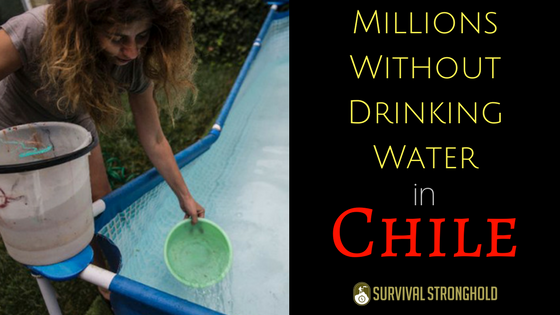 This is a scenario any seasoned prepper has anticipated, and stands as a serious reminder that in any situation, you will need fresh drinking water. Ironically caused by excess water, the contamination of local water supply by flooding is what has left so many stranded, so no matter where you are or what natural disaster you are in danger of, having enough clean drinking water should always be at the top of your list of preparedness necessities. Just as Santiago residents struggle to purchase their water or get clean water from emergency crews, we can’t be caught with no alternative when we need water the most. Don’t wait until the last minute, stock up on clean drinking water today. Nearly every recent natural disaster reminds us of this urgency, and if you get yourself stocked up, you’ll be glad you did. What Do CIA Ops Know That We Don’t? Survival News: Loretta Lynch Calls for Violence?